The Gear Cube is another one of Oskar's masterpieces (which of his puzzles aren't one?...). 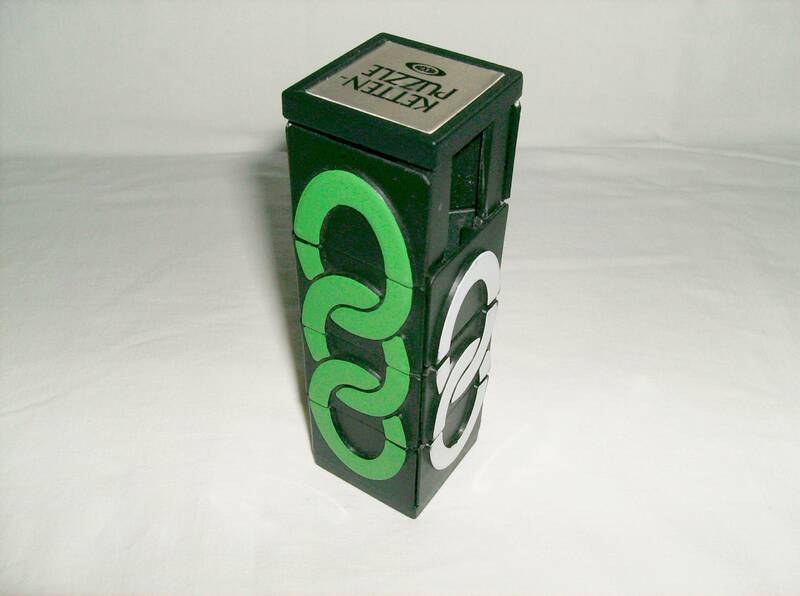 The story of the Gear Cube starts with the Caution Cube, designed by Oskar van Deventer in 2009. When it was first produced, the Caution Cube, as its name implies, required great care to handle, because of its razor sharp gears. It was then picked up by Uwe Meffert, as a partnership with Oskar, for mass-production and its sharp edges were rounded up for better maneuver and less dangerous handling. 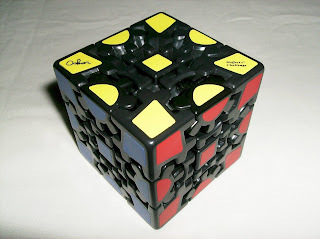 The puzzle uses a unique 3x3x3 mechanism with gears and although being a bit different, you can use the same techniques used to solve a regular 3x3x3 cube and apply them to the Gear Cube. 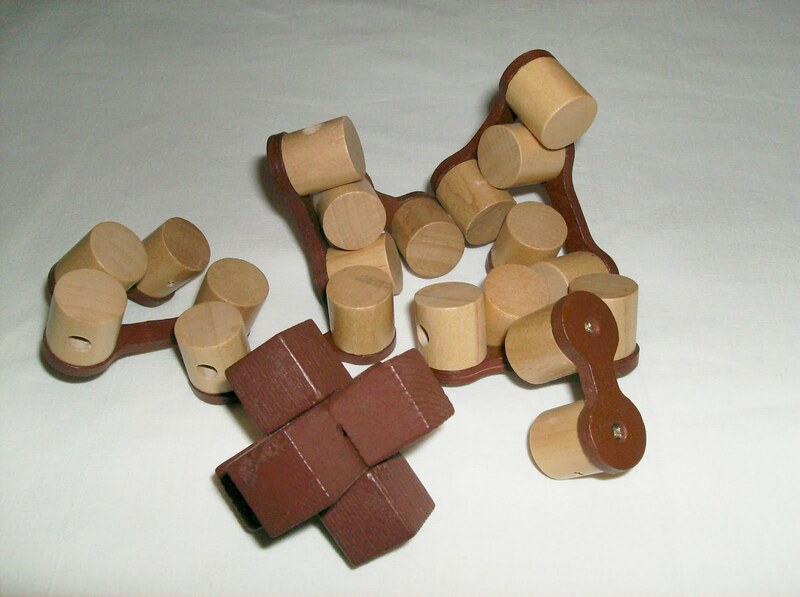 The movement of the puzzle's achieved by its edge pieces that have gears and rotate when you twist any face. Unlike a regular 3x3x3 cube, here you're restricted with 180º turns, as a 90º turn would lock any other movement you'd make, because an edge would be in the place of a center, thus disallowing further turns. The feel of the puzzle is excellent. 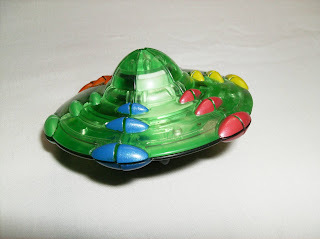 Its movement is very smooth, which tells that it's already well lubed out of the box. 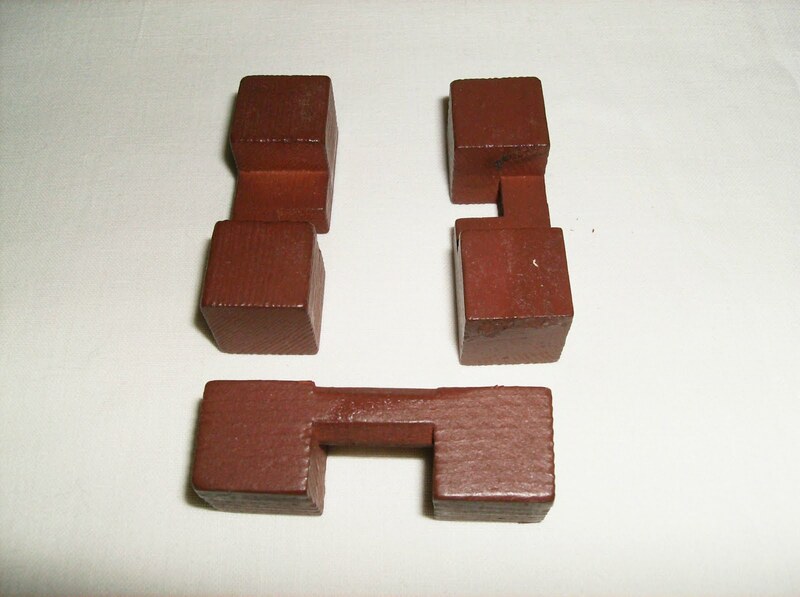 It also feels stiff, meaning that its weight is pleasant to hold in the hand, hinting that the structure of the puzzle is not hollow like the cheap cubes. The Gear cube is also available in a white body and you can purchase both versions at Meffert's for a discount. Now also available at Puzzle Master. Random Pick #5 from My Collection. The Babylon Tower (a.k.a. Ivory Tower), invented by Arxon Spiele and Freizeit in 1981 and manufactured by Ideal, is a slide puzzle comprised by six gradient colored balls in six columns. The main goal may not be visible at first but, it's simple: You push a ball from the bottom, to a hole inside the tower, thus creating a gap for the rest of the balls to move around. You can move a ball up or down or just rotate one of the six discs. 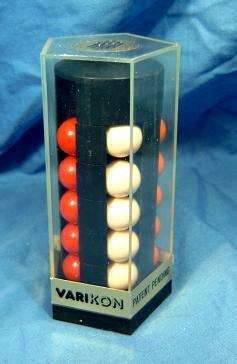 It's a simple 3D slide puzzle just like the Whip-it, the Varikon or even the Missing Link. I personally love this type of puzzles (3D rotational/slide puzzles). Not because they're easy but, because they're very fun to play with. You can check several of these puzzles in the Slide section of my collection. 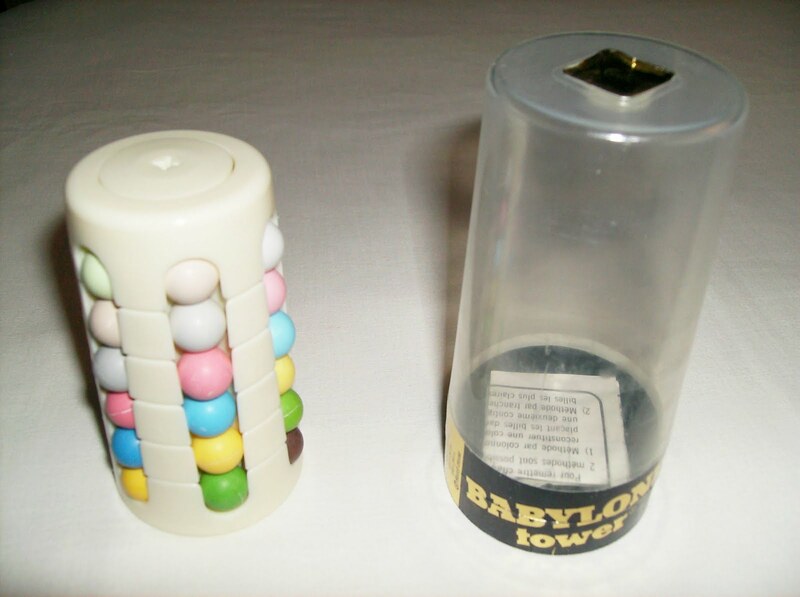 There's another darker version of the Babylon Tower, although it's much harder to find it. Besides the classic version, there's also two other versions as well. A Key-chain and a Junior (with only four balls). Along with the different versions of the Ivory Tower, you can also have different package versions (refer to the puzzle case), like French or German. 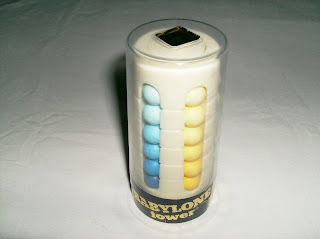 I have a French one and you can read on the case "Babylone Tower". You can still buy one at Puzzle Master. Block Chain. At first glance, you may not know how this puzzles behaves or what is its purpose but, once you figure out how to move it, you'll see clearly what you're suppose to do. 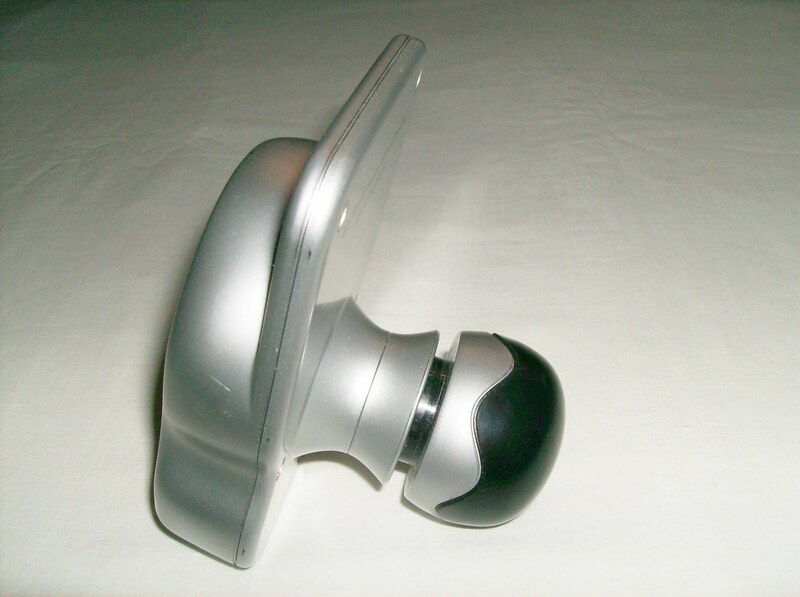 This was one of the entries at the 24th IPP Design Competition, in 2004 and at the time it was simply called QRIN X. 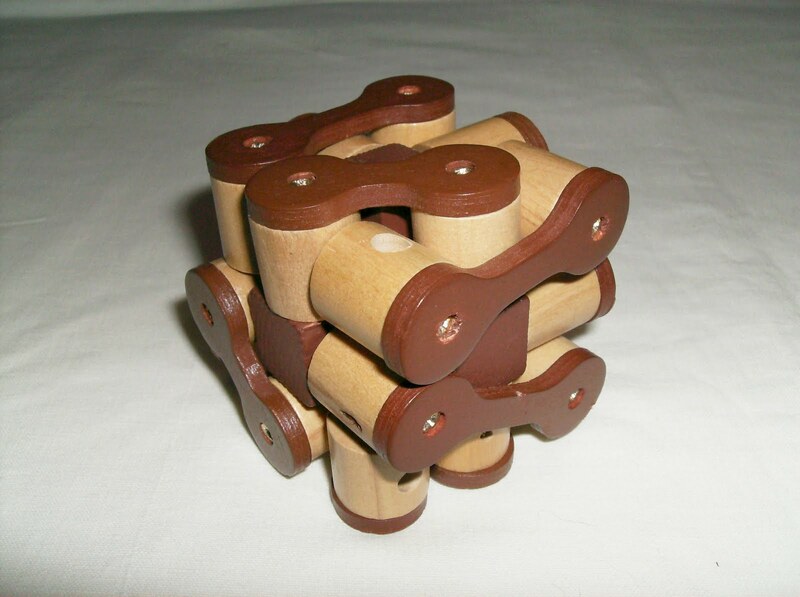 The presentation of the puzzle resembles a bicycle drive chain and the goal of the puzzle is similar to the Elastic Cube (a.k.a. 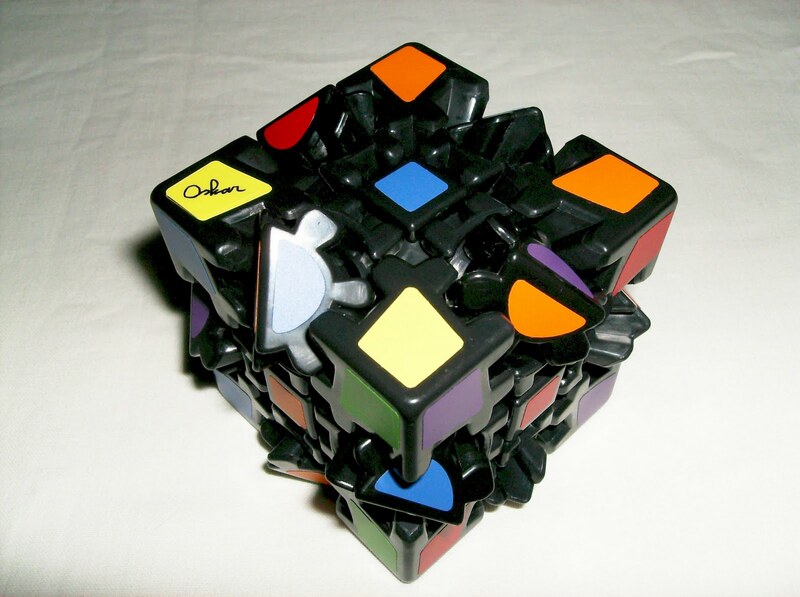 Snake Cube), where you take it apart and then assemble it back to a cube form. All the parts in the puzzle connected, except at both ends. Some segments are connected by a screw, limiting some movements (just like in the Elastic Cube, where you have two or three cubes connected in the same orientation) but, at the same time you can rotate these segments in the screw's perpendicular plane. 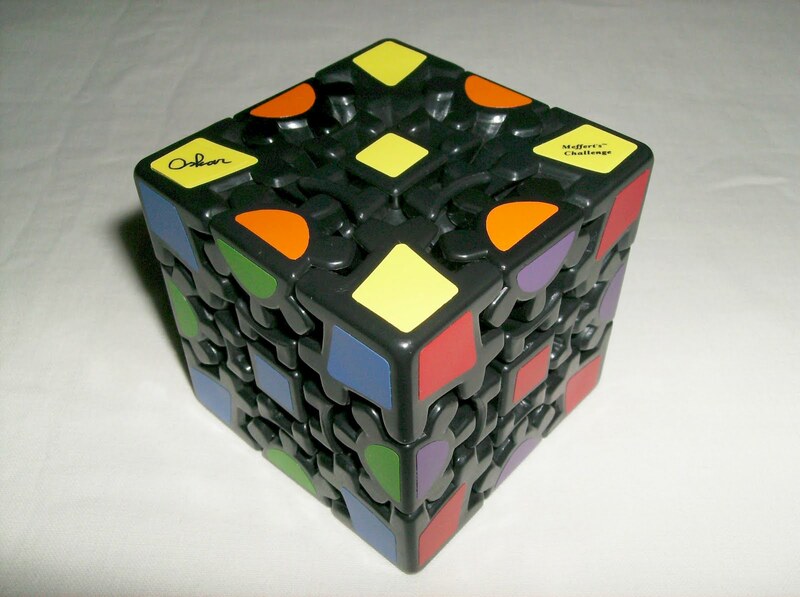 One thing to take into consideration, which helps to solve it, is that each segment belongs to one face of the cube and one face only, although you may have more than one segment per face. Once you take the puzzle apart for the first time, you're in for a surprise, because it's actually two puzzles in one. As you'll notice, the inner core of the Block Chain is a three-piece Burr as you can see from the pictures below. Overall, a very nice puzzle. Original for its looks and for the hidden extra puzzle. Currently, you can get a Block Chain at Dino Direct. Weekly Random Pick #4 from My Collection. 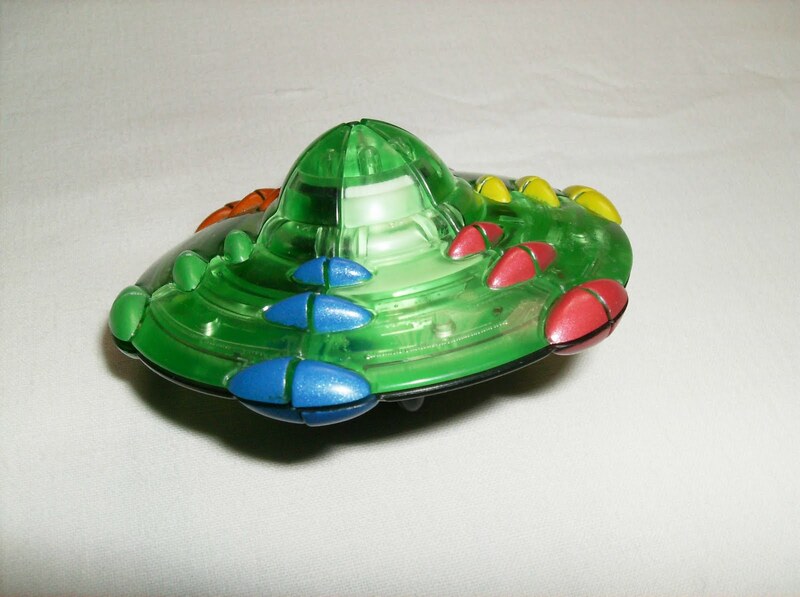 Launched in 2001, the Rubik's UFO is a close relative of the older Rubik's Cheese but, a little more complex. It's also close to a Puck but, the differences here are a rotating center and twelve segments instead of six. The mechanism is essentially the same, except that it adds one more layer, making the puzzle more challenging. There's six segments besides those two layers and you rotate three segments at a time in a vertical plane, while between layers you can only rotate them in the horizontal plane. The puzzle is very attractive and great to look at, though it's a little hard to rotate the layers, because they have to be perfectly aligned. 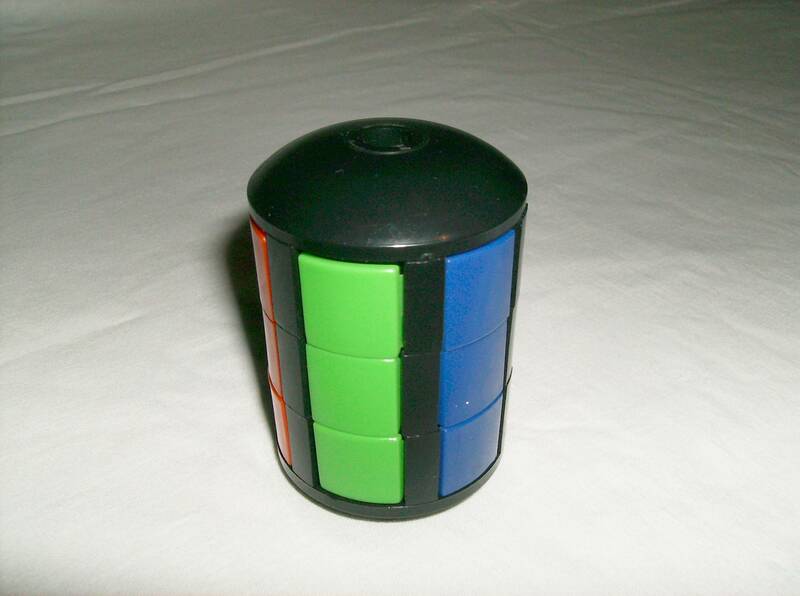 If you can solve a Puck or a Rubik's Cheese, you can for sure solve this one. Its colors make it pretty straightforward to work out a solution on your own. There's another color version, dark gray and light gray, which was first released but, it's now rare to find one for sale. You can still buy the genuine transparent green one at Popbuying for $19 USD with free worldwide shipping. 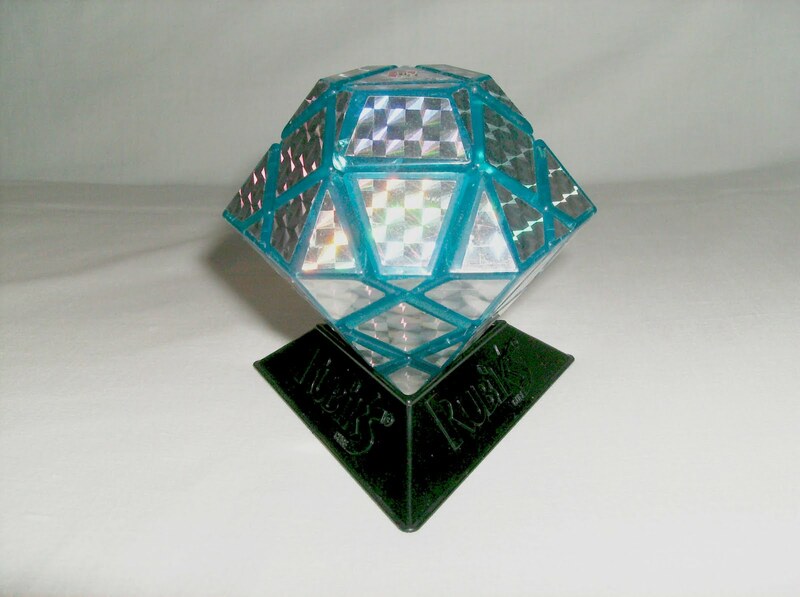 Guo Jia Diamond. 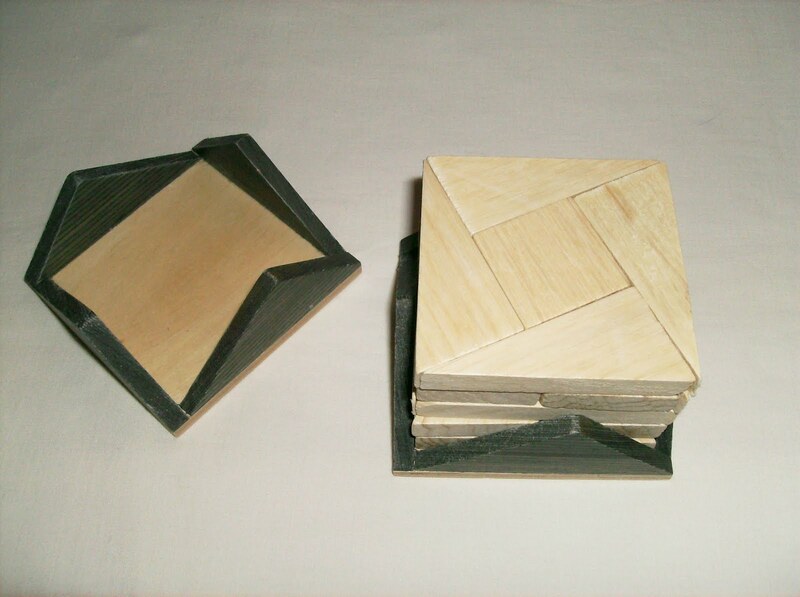 A simple 3x3 shape mod made by the Chinese company Guo Jia, who produces many more twisty puzzles. 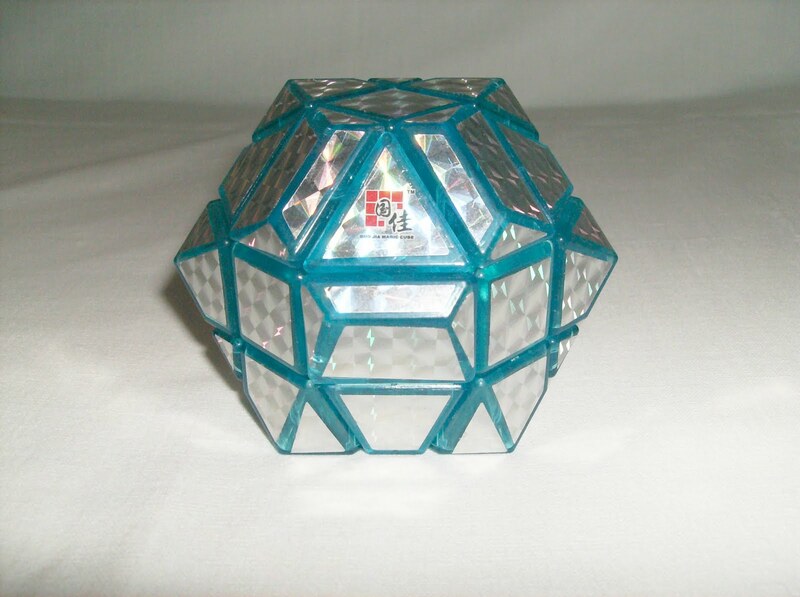 Visually very appealing, due to its reflective stickers and its truncated hexagonal dipyramid shape, the Guo Jia Diamond has a pretty decent quality for its price ($6 USD). Probably not for speedsolving but, it's almost there. Also available in red, you can purchase one at Popbuying. This one came from there and I can tell you that they are trustworthy. Took around two weeks to arrive. You can also see a video of the puzzle and its shape-shifting abilities here and judge it by yourself. This is the 3rd weekly Random Pick from My Collection. 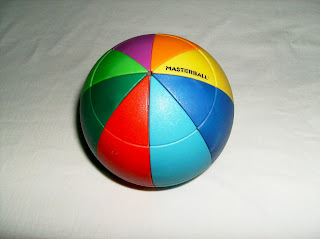 This week, I present to you the Rainbow Masterball (a.k.a. Geomaster), an invention of Hungarian Dr. Geza Gyovai. The puzzle consists in 8 segments (each with a different color) and 4 layers and belongs to the family of Twisty Polyhedra. 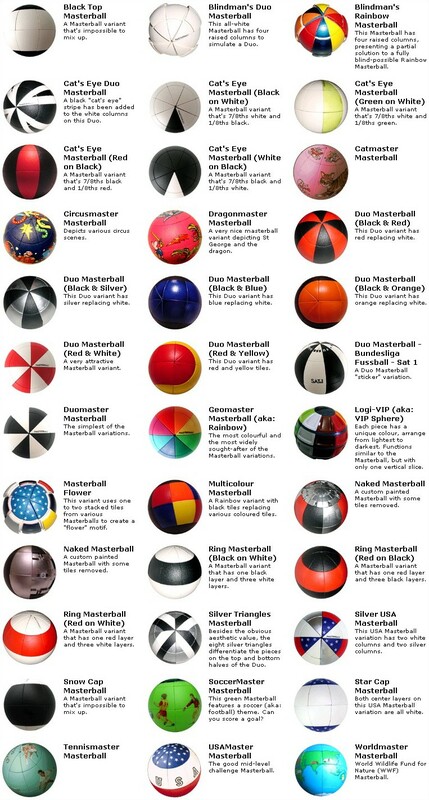 This particular Masterball is one of the easiest versions to solve, not like the picture ones where you have a much harder challenge. Regarding its maneuvering, it's very pleasing to turn due to its "clicky mechanism" that tells you when the pieces are in place, which makes the whole experience with this puzzle much more satisfying. Launched some 18 years ago, the puzzle has now dozens of color and picture versions. You can still buy some versions today (see links below), although much of them are now quite rare to find. Lucky Clover is one of many masterpieces created by the great genius mind of Oskar van Deventer. 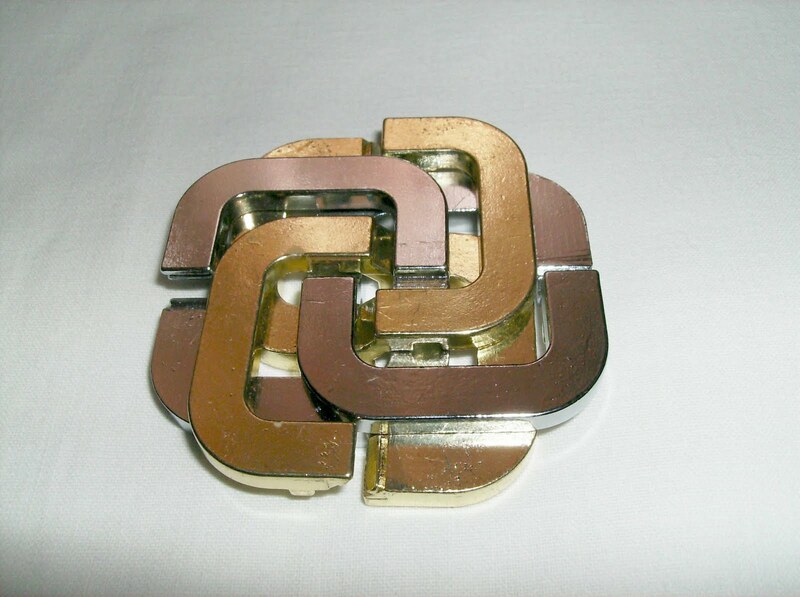 The puzzle is formed by four rings, two of them are golden and the other two are silver. The goal is very simple, separate the rings and then assemble them back to the original clover design. 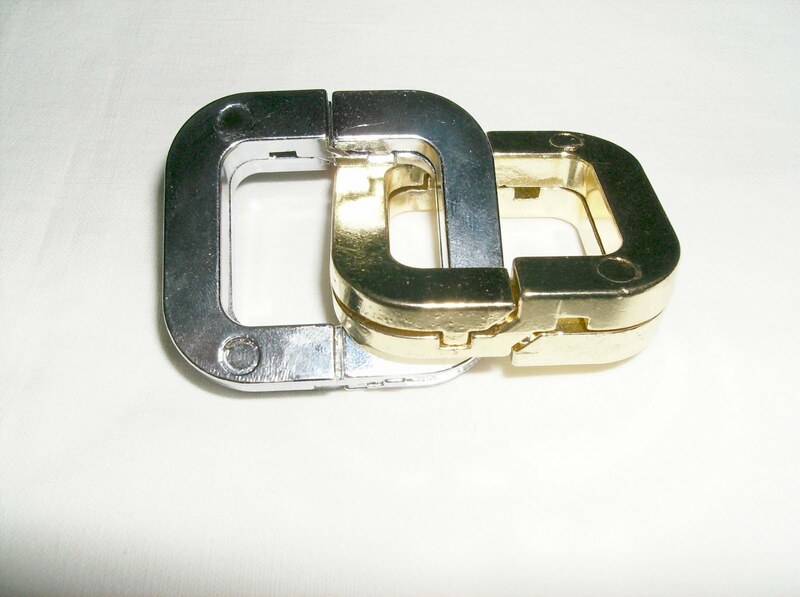 There's an alternative challenge, which is to form a set of handcuffs (see first bottom picture). This is one the most difficult Entanglement puzzles I've seen. After you have removed the last ring which, by the way, is no easy task, the real challenge (torment) is now just beginning. Next, your most difficult challenge will be putting the puzzle back together. I have to say, even with a solution sheet you'll be frustrated, because it's not a straightforward step by step solution. You have to understand how the pieces interact with each other in order to get the final rewarding achievement. This puzzle was first presented at the 24th annual IPP and you can buy one at Puzzle Master (they also have a solution available for download). Weekly random pick #2 from my collection. 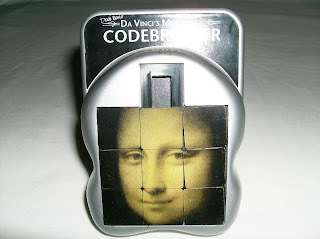 This week I picked the Mona Lisa Codebreaker to make a post. Invented by Dave Nesis, the Codebreaker is a slide puzzle where you slide the tiles in place to make the image of Mona Lisa. Sounds simple, but don't be fooled... The puzzle is not so straightforward as it seems. There's a handle in the back that makes all 4 corners turn simultaneously and there's a system of rails in each corner piece that prevents sliding a tile in both vertically and horizontally at the same time. Instead, if you need to slide a tile horizontally, you have to push the handle and rotate it so that the rails can have the same orientation as the move you want to make. There's also an empty slot at the top for storing a tile, leaving you with 8 tiles to move around and solve the puzzle. 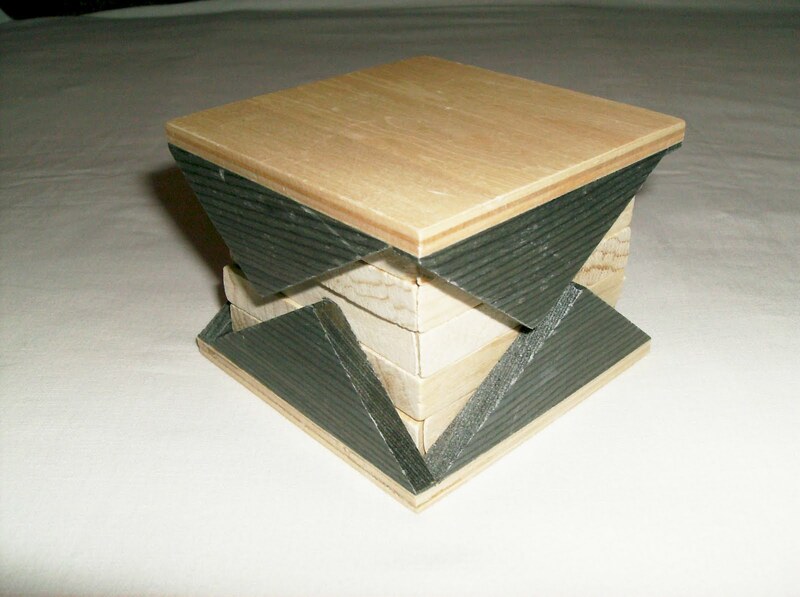 Its design is very original, adding a more challenging approach to the classic slide puzzle. There's also available two alternative designs. Twisted Mind (with numbers) and Twisting Rings (with colored rings designed by Jaap Scherphuis). Enigma is a rotational/rearrangement puzzle. Comprised by three layers, you rotate these to scramble or rearrange the puzzle to its original picture. 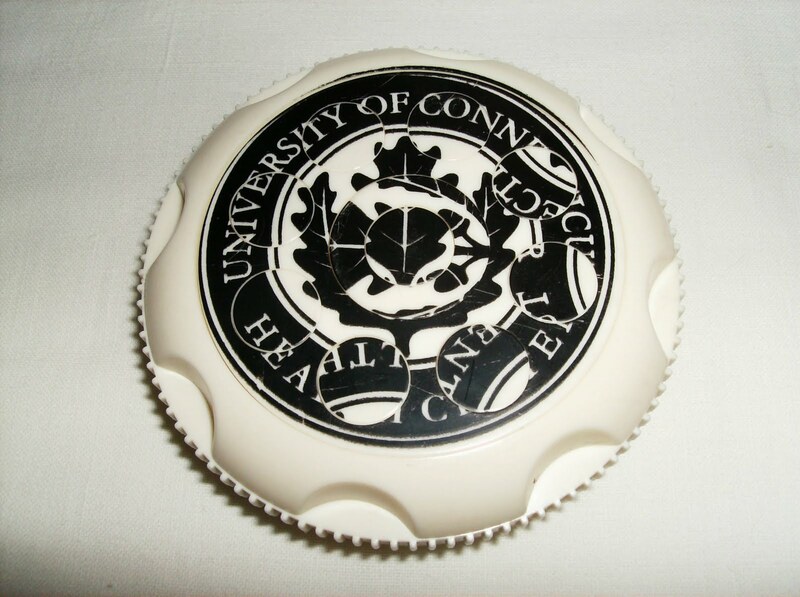 The top layer rotates only four circles and the second center ring (see first bottom picture), whilst the bottom layer rotates all the parts. 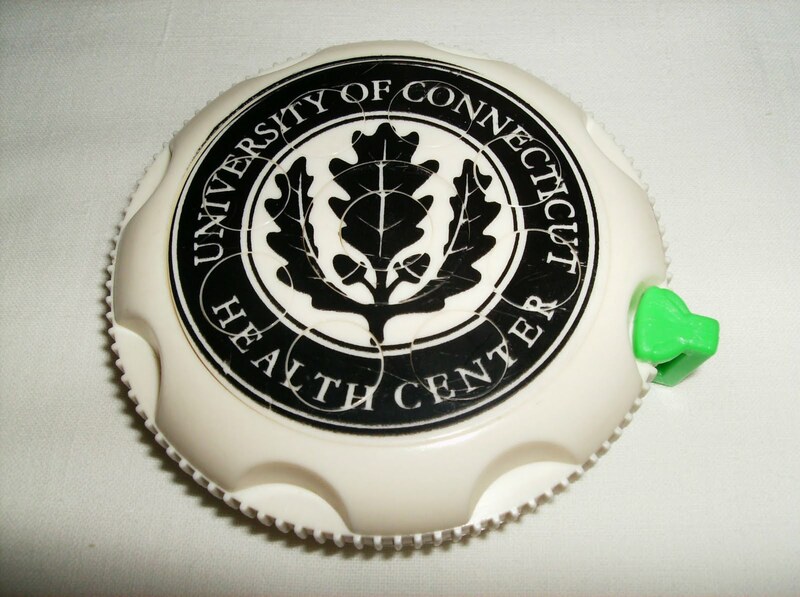 This puzzle is usually available with a company's logo, because they only make them as promotional items and sell them as wholesale. 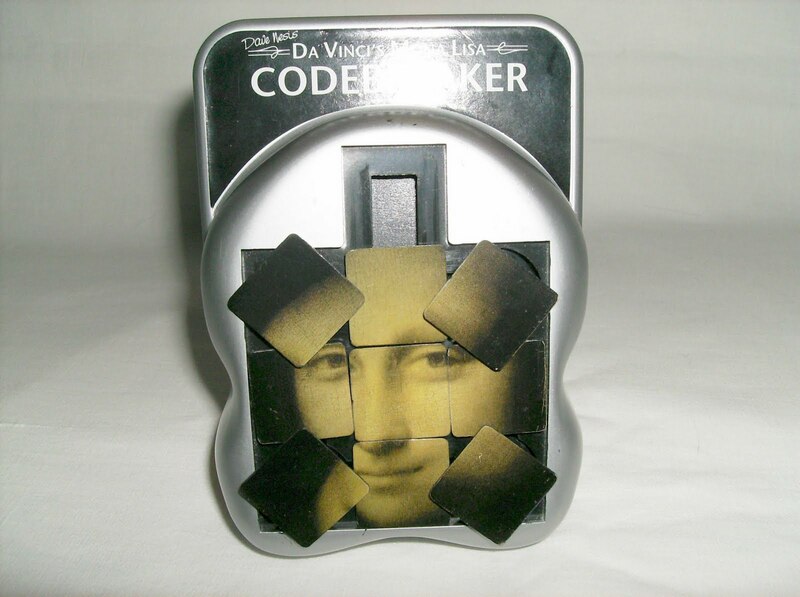 As of writing this article, there's an eBay seller with over 80 enigma puzzles available in 6 designs/logos. 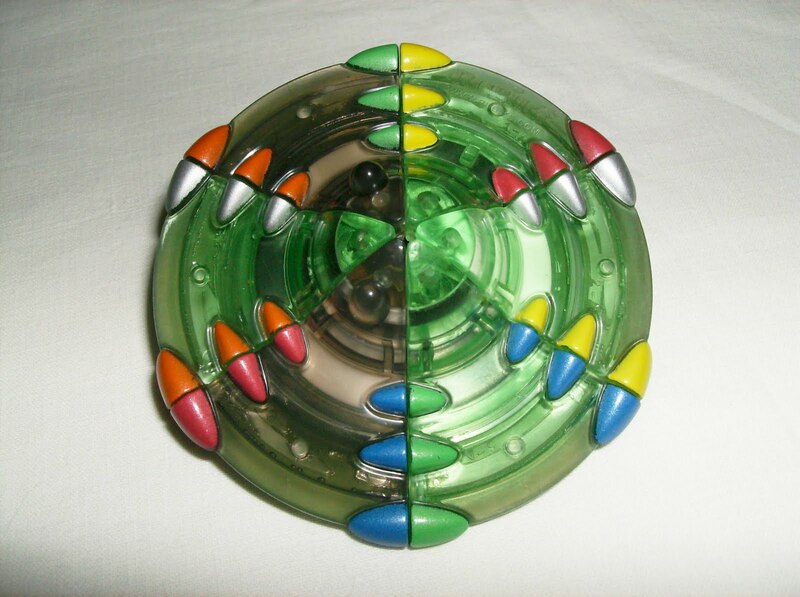 He also has a video that shows how the puzzle moves. Square Fusion is a creation of Roland Koch and was entered in the 24th IPP (International Puzzle Party) Design Competition, at the time by the name of Fusiun Dals Quadrats. 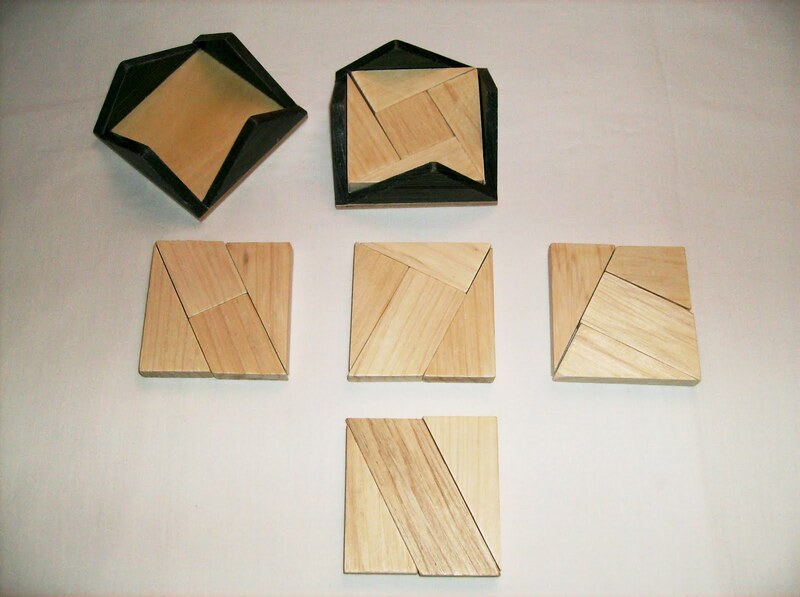 The puzzle is formed by five identical squares. Three of them are formed by four pieces, one by three pieces and another by five pieces, leaving you with five different brainteasers. The main goal is to make a bigger square (see 3rd picture below) with all of the five squares' pieces and then assemble all the squares back together in their box.You can make several squares with other dimensions as well. 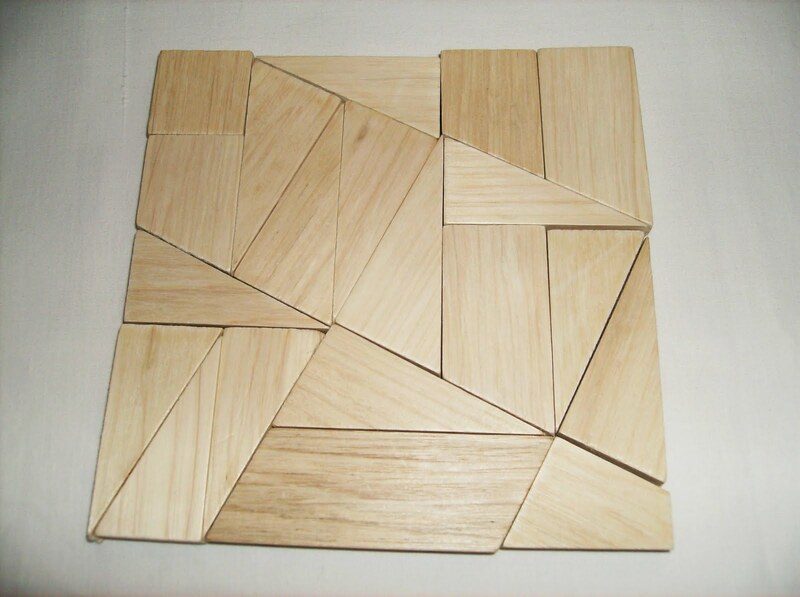 I love the puzzle presentation, how the top and bottom covers have this elegant triangular shape and also the darker painted wood makes a very nice contrast with the lighter pieces. This is very important when you want to captivate a puzzle enthusiast's attention. 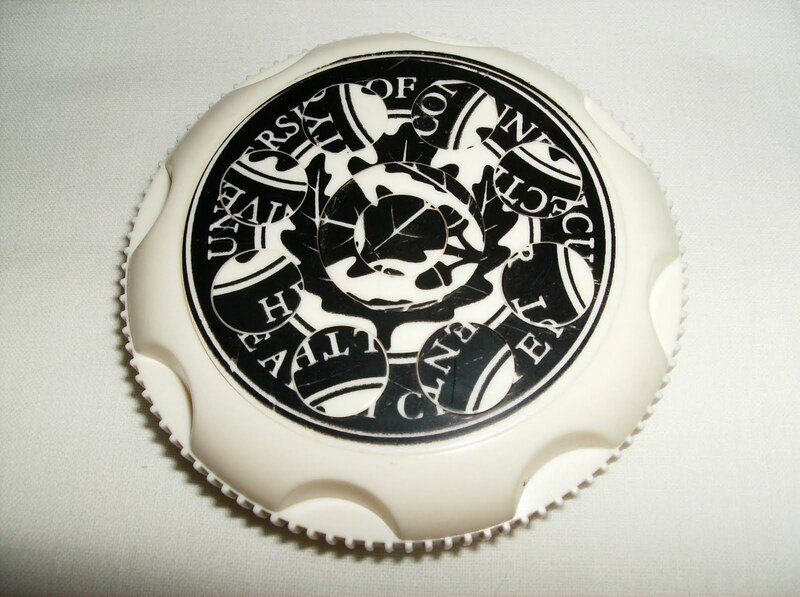 It makes a great coffee table decorative item.